An often under-appreciated aspect of advanced static analysis tools is that they are extensible. They can be configured or programmed to find violations of domain-specific rules, in addition to programming defects such as buffer overruns or closing the same file descriptor twice. Programmers can, with fairly little programming effort, dramatically increase the value they get from static analysis. 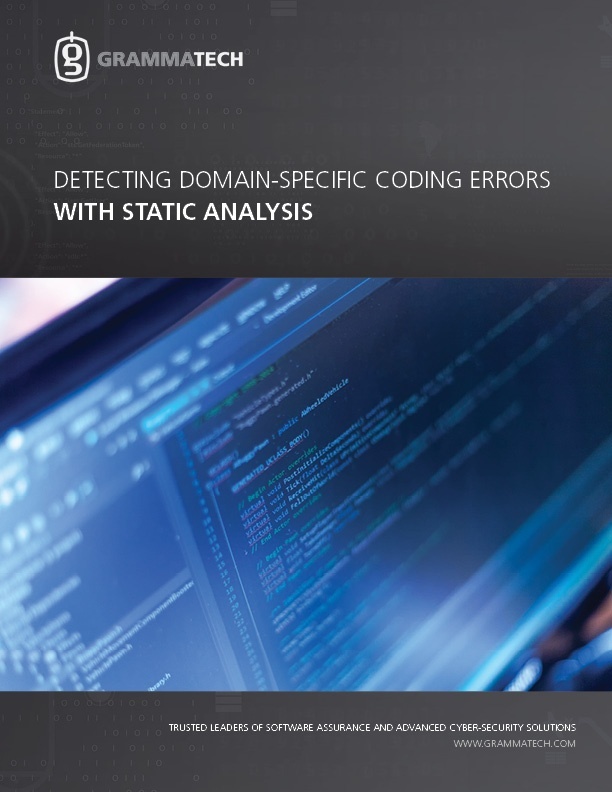 This paper describes how custom domain-specific checkers can be used to improve software quality in complex embedded systems using GrammaTech's CodeSonar.